Summer time is often filled with outside activities and being a part of these activities is most enjoyable. You can still be a part of many outside activities, but there are a few points to remember. First, you are dealing with sensitive electronic equipment and it needs to be cared for just as you care for your smartphone or that new laptop. Leaving such equipment out in the sun, near hot appliances or sources of water are big no-noes. The delicate circuitry as well as the batteries can be quickly destroyed or compromised by such conditions. It has been stated that the best operating temperature range for portable oxygen concentrators is between 60 and 70 degrees Fahrenheit. If you live in the warmer states this may seem a bit cool to you. The last statement is the best key to go by. Where are you the most comfortable? Some of you love the dry heat of the southwest summers or the cold of the northeast winters, but would you leave your smartphone out in these temperatures? Most of you would prefer to be indoors under these conditions. Your POC would most definitely appreciate it. The official listed operating temperatures for portable oxygen concentrators is 41F to 104F (5C to 40C). If you were outside and it was 41F, you would take care to dress accordingly. Portable oxygen concentrators do not have this option! The same goes for 104 degree temperatures. Smores are a national treasure in the eyes of some, but to your POC, the campfire that is a part of their creation is a big no-no. If you really want to fix it yourself, stop your therapy and make sure you put your POC at least 8-10 feet away from that enticing campfire. The same distance is best when it comes to gas or electric stoves. Heat and closeness to flames are a bad combination. Because your POC gives off heat when in use, it is important to make sure you are in a ventilated area. All electronic equipment gives off heat when used for long periods of time. They sell pillows to protect you from the heat generated from your laptop. 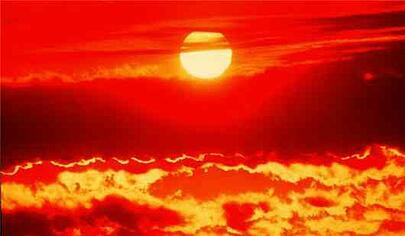 The combination of the generated heat along with external heat can damage the sensitive inner system and batteries. When you position yourself in the shade, make sure that your portable oxygen concentrator joins you. Direct sun is not good. Another point is the water. Splashing is commonplace around pools. Your POC does not appreciate even with the slightest bit of water. Think twice before putting a plastic bag over your POC as protection from any water splashes. The generated heat kept within the plastic bag, along with the outdoor heat would be too much.